An absolutely stunning instrumental album in collaboration with Persian Santur virtuoso Alan Kushan that combine influences from Jewish, Arabic, an Asian traditions, creating hypnotic mystical compositions that erupt into soulful improvisations.. This is the fourth album by Basya Schechter, produced by Albert Leusink. Though members of Pharaoh's Daughter are featured as guests on this record, the focus of the music is a collaboration with Santur player, Alan Kushan who Basya met on a cross country trip transporting friend and Virtual Reality specialist Jaron Lanier and his 1,000 exotic instruments in a Penske truck to Berkeley from Tribeca in the fall of 2002. The music had been composed over the past 5 years, both indpendently, and through many late night jam sessions in Williamsburgh with Jarrod Cagwin who is the percussionist on this album, and is the drummer for Rabih Abu Khalil. The composing would start at around 1a.m. and by 4a.m. delirious and full of new songs in all kinds of meteres would be recorded as the new outgoing message on her answering machine. This went on for 3 months. When talking to Kushan riding 2a.m. through Arkansas, and he mentioned his instrument, a lightbulb went off, and she knew he had the right sound to complete the project. They would be recording shortly. Within the year, they spent 2 months every morning going over the compositions and opening up different sections to improvisation. Collectively, Basya, Jarrod, and Alan, have lived and traveled through Iran, India, Turkey, Morrocco, Kurdistan, Mali, Kazakstan, Russia, Israel, Egypt, and other countries in the Far and Middle East. The music is at reminiscent of all these places and a totally new exploration. amazing, beautiful, cinematic, delicate, passionate, and true. The world needs much more music like this. Basya Schechter draws upon multiple traditions and influences to make a very strong and deeply personal, yet universal, musical statement with this wonderful CD. In this album one hears an authentic expression of music as art - lovingly, expertly crafted and professionally executed. If the samples available at CD Baby appeal to you, the CD as a whole will not disappoint, and will definitely be worth acquiring. 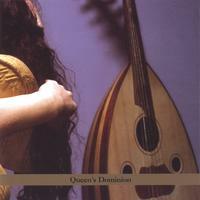 In Queen's Dominion, Basya Schechter and fellow band members offer a variety of enchanting melodies played with exceptional skill and artistic expression. The rhythms cover the spectrum of emotions from energetic to relaxing, but always somewhat mistifying. Repeated listening has not and (I am convinced) will not diminish my pleasure or discovery of nuances. I strongly recommend it for a fresh musical experience.